◆ Easy To Use – You can simply plug in and the engraver is ready to work! ◆ Wide Application – This engraver can be applied on stone, glass, and metal. You can use it on most of the surfaces. ◆ Reciprocating replaceable tungsten carbide tip can be applied on metal, stainless steel, marble, glass, plastic, wood and other materials. ◆ One tungsten carbide tip angled at 60° included in the set. ◆ P/N 270.00002 diamond tip is recommended when engraving on harder materials and can be purchased additionally. ◆ High-impact plastics and double insulated body provide safety and assure no electricity leakage. ◆ 5 levels of stroke control to adjust the depth of engraving from around 0.1 to 1mm. ◆ Easy to use, just adjust to stroke level 1 before plugging in. Then turn on the switch and you are ready for marking in your own way! ◆ High quality guarantee. 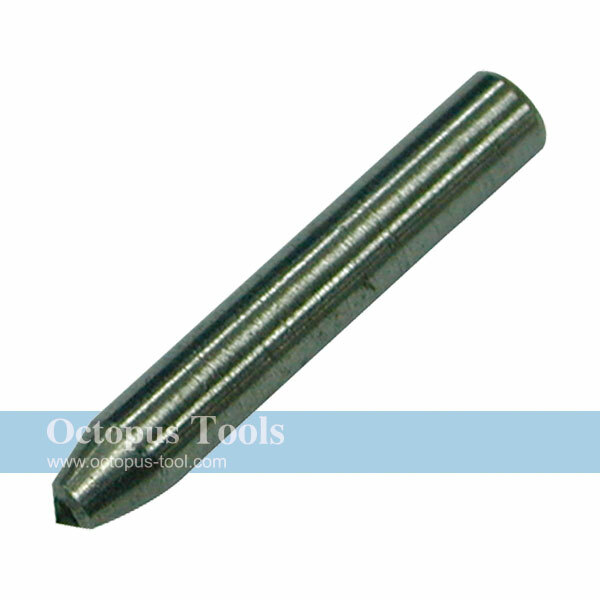 Replaceable tungsten carbide point tip is made in USA and the body of the engraver is made in Taiwan. Please always wear eye protection while using and do not fall electric engraver down nor make it run without actually engraving.